This article is about the branch of mathematics. For other uses, see Calculus (disambiguation). It has two major branches, differential calculus (concerning instantaneous rates of change and slopes of curves), and integral calculus (concerning accumulation of quantities and the areas under and between curves). These two branches are related to each other by the fundamental theorem of calculus. Both branches make use of the fundamental notions of convergence of infinite sequences and infinite series to a well-defined limit. Calculus is a part of modern mathematics education. A course in calculus is a gateway to other, more advanced courses in mathematics devoted to the study of functions and limits, broadly called mathematical analysis. Calculus has historically been called "the calculus of infinitesimals", or "infinitesimal calculus". The term calculus (plural calculi) is also used for naming specific methods of calculation or notation as well as some theories, such as propositional calculus, Ricci calculus, calculus of variations, lambda calculus, and process calculus. Archimedes used the method of exhaustion to calculate the area under a parabola. The ancient period introduced some of the ideas that led to integral calculus, but does not seem to have developed these ideas in a rigorous and systematic way. Calculations of volume and area, one goal of integral calculus, can be found in the Egyptian Moscow papyrus (13th dynasty, c. 1820 BC), but the formulas are simple instructions, with no indication as to method, and some of them lack major components. From the age of Greek mathematics, Eudoxus (c. 408–355 BC) used the method of exhaustion, which foreshadows the concept of the limit, to calculate areas and volumes, while Archimedes (c. 287–212 BC) developed this idea further, inventing heuristics which resemble the methods of integral calculus. The method of exhaustion was later discovered independently in China by Liu Hui in the 3rd century AD in order to find the area of a circle. In the 5th century AD, Zu Gengzhi, son of Zu Chongzhi, established a method that would later be called Cavalieri's principle to find the volume of a sphere. 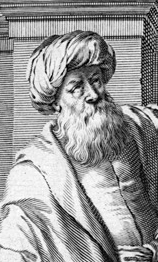 In the Middle East, Hasan Ibn al-Haytham, Latinized as Alhazen (c. 965 – c. 1040 CE) derived a formula for the sum of fourth powers. He used the results to carry out what would now be called an integration of this function, where the formulae for the sums of integral squares and fourth powers allowed him to calculate the volume of a paraboloid. In the 14th century, Indian mathematicians gave a non-rigorous method, resembling differentiation, applicable to some trigonometric functions. Madhava of Sangamagrama and the Kerala School of Astronomy and Mathematics thereby stated components of calculus. A complete theory encompassing these components is now well known in the Western world as the Taylor series or infinite series approximations. However, they were not able to "combine many differing ideas under the two unifying themes of the derivative and the integral, show the connection between the two, and turn calculus into the great problem-solving tool we have today". "The calculus was the first achievement of modern mathematics and it is difficult to overestimate its importance. I think it defines more unequivocally than anything else the inception of modern mathematics, and the system of mathematical analysis, which is its logical development, still constitutes the greatest technical advance in exact thinking." In Europe, the foundational work was a treatise written by Bonaventura Cavalieri, who argued that volumes and areas should be computed as the sums of the volumes and areas of infinitesimally thin cross-sections. The ideas were similar to Archimedes' in The Method, but this treatise is believed to have been lost in the 13th century, and was only rediscovered in the early 20th century, and so would have been unknown to Cavalieri. Cavalieri's work was not well respected since his methods could lead to erroneous results, and the infinitesimal quantities he introduced were disreputable at first. The formal study of calculus brought together Cavalieri's infinitesimals with the calculus of finite differences developed in Europe at around the same time. Pierre de Fermat, claiming that he borrowed from Diophantus, introduced the concept of adequality, which represented equality up to an infinitesimal error term. The combination was achieved by John Wallis, Isaac Barrow, and James Gregory, the latter two proving the second fundamental theorem of calculus around 1670. 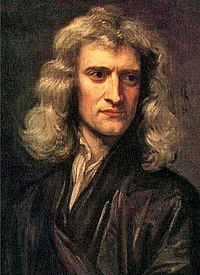 Isaac Newton developed the use of calculus in his laws of motion and gravitation. The product rule and chain rule, the notions of higher derivatives and Taylor series, and of analytic functions were introduced by Isaac Newton in an idiosyncratic notation which he used to solve problems of mathematical physics. In his works, Newton rephrased his ideas to suit the mathematical idiom of the time, replacing calculations with infinitesimals by equivalent geometrical arguments which were considered beyond reproach. He used the methods of calculus to solve the problem of planetary motion, the shape of the surface of a rotating fluid, the oblateness of the earth, the motion of a weight sliding on a cycloid, and many other problems discussed in his Principia Mathematica (1687). In other work, he developed series expansions for functions, including fractional and irrational powers, and it was clear that he understood the principles of the Taylor series. He did not publish all these discoveries, and at this time infinitesimal methods were still considered disreputable. These ideas were arranged into a true calculus of infinitesimals by Gottfried Wilhelm Leibniz, who was originally accused of plagiarism by Newton. He is now regarded as an independent inventor of and contributor to calculus. His contribution was to provide a clear set of rules for working with infinitesimal quantities, allowing the computation of second and higher derivatives, and providing the product rule and chain rule, in their differential and integral forms. Unlike Newton, Leibniz paid a lot of attention to the formalism, often spending days determining appropriate symbols for concepts. Today, Leibniz and Newton are usually both given credit for independently inventing and developing calculus. Newton was the first to apply calculus to general physics and Leibniz developed much of the notation used in calculus today. The basic insights that both Newton and Leibniz provided were the laws of differentiation and integration, second and higher derivatives, and the notion of an approximating polynomial series. By Newton's time, the fundamental theorem of calculus was known. When Newton and Leibniz first published their results, there was great controversy over which mathematician (and therefore which country) deserved credit. Newton derived his results first (later to be published in his Method of Fluxions), but Leibniz published his "Nova Methodus pro Maximis et Minimis" first. Newton claimed Leibniz stole ideas from his unpublished notes, which Newton had shared with a few members of the Royal Society. This controversy divided English-speaking mathematicians from continental European mathematicians for many years, to the detriment of English mathematics. A careful examination of the papers of Leibniz and Newton shows that they arrived at their results independently, with Leibniz starting first with integration and Newton with differentiation. It is Leibniz, however, who gave the new discipline its name. Newton called his calculus "the science of fluxions". Since the time of Leibniz and Newton, many mathematicians have contributed to the continuing development of calculus. 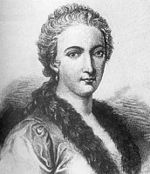 One of the first and most complete works on both infinitesimal and integral calculus was written in 1748 by Maria Gaetana Agnesi. In calculus, foundations refers to the rigorous development of the subject from axioms and definitions. In early calculus the use of infinitesimal quantities was thought unrigorous, and was fiercely criticized by a number of authors, most notably Michel Rolle and Bishop Berkeley. Berkeley famously described infinitesimals as the ghosts of departed quantities in his book The Analyst in 1734. Working out a rigorous foundation for calculus occupied mathematicians for much of the century following Newton and Leibniz, and is still to some extent an active area of research today. Several mathematicians, including Maclaurin, tried to prove the soundness of using infinitesimals, but it would not be until 150 years later when, due to the work of Cauchy and Weierstrass, a way was finally found to avoid mere "notions" of infinitely small quantities. The foundations of differential and integral calculus had been laid. In Cauchy's Cours d'Analyse, we find a broad range of foundational approaches, including a definition of continuity in terms of infinitesimals, and a (somewhat imprecise) prototype of an (ε, δ)-definition of limit in the definition of differentiation. In his work Weierstrass formalized the concept of limit and eliminated infinitesimals (although his definition can actually validate nilsquare infinitesimals). Following the work of Weierstrass, it eventually became common to base calculus on limits instead of infinitesimal quantities, though the subject is still occasionally called "infinitesimal calculus". Bernhard Riemann used these ideas to give a precise definition of the integral. It was also during this period that the ideas of calculus were generalized to Euclidean space and the complex plane. In modern mathematics, the foundations of calculus are included in the field of real analysis, which contains full definitions and proofs of the theorems of calculus. The reach of calculus has also been greatly extended. Henri Lebesgue invented measure theory and used it to define integrals of all but the most pathological functions. Laurent Schwartz introduced distributions, which can be used to take the derivative of any function whatsoever. Limits are not the only rigorous approach to the foundation of calculus. Another way is to use Abraham Robinson's non-standard analysis. Robinson's approach, developed in the 1960s, uses technical machinery from mathematical logic to augment the real number system with infinitesimal and infinite numbers, as in the original Newton-Leibniz conception. The resulting numbers are called hyperreal numbers, and they can be used to give a Leibniz-like development of the usual rules of calculus. There is also smooth infinitesimal analysis, which differs from non-standard analysis in that it mandates neglecting higher power infinitesimals during derivations. While many of the ideas of calculus had been developed earlier in Greece, China, India, Iraq, Persia, and Japan, the use of calculus began in Europe, during the 17th century, when Isaac Newton and Gottfried Wilhelm Leibniz built on the work of earlier mathematicians to introduce its basic principles. The development of calculus was built on earlier concepts of instantaneous motion and area underneath curves. Applications of differential calculus include computations involving velocity and acceleration, the slope of a curve, and optimization. Applications of integral calculus include computations involving area, volume, arc length, center of mass, work, and pressure. More advanced applications include power series and Fourier series. Calculus is also used to gain a more precise understanding of the nature of space, time, and motion. For centuries, mathematicians and philosophers wrestled with paradoxes involving division by zero or sums of infinitely many numbers. These questions arise in the study of motion and area. The ancient Greek philosopher Zeno of Elea gave several famous examples of such paradoxes. 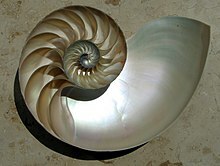 Calculus provides tools, especially the limit and the infinite series, that resolve the paradoxes. The infinitesimal approach fell out of favor in the 19th century because it was difficult to make the notion of an infinitesimal precise. However, the concept was revived in the 20th century with the introduction of non-standard analysis and smooth infinitesimal analysis, which provided solid foundations for the manipulation of infinitesimals. In the late 19th century, infinitesimals were replaced within academia by the epsilon, delta approach to limits. Limits describe the value of a function at a certain input in terms of its values at nearby inputs. They capture small-scale behavior in the context of the real number system. In this treatment, calculus is a collection of techniques for manipulating certain limits. Infinitesimals get replaced by very small numbers, and the infinitely small behavior of the function is found by taking the limiting behavior for smaller and smaller numbers. Limits were thought to provide a more rigorous foundation for calculus, and for this reason they became the standard approach during the twentieth century. Tangent line at (x, f(x)). The derivative f′(x) of a curve at a point is the slope (rise over run) of the line tangent to that curve at that point. Differential calculus is the study of the definition, properties, and applications of the derivative of a function. The process of finding the derivative is called differentiation. Given a function and a point in the domain, the derivative at that point is a way of encoding the small-scale behavior of the function near that point. By finding the derivative of a function at every point in its domain, it is possible to produce a new function, called the derivative function or just the derivative of the original function. In formal terms, the derivative is a linear operator which takes a function as its input and produces a second function as its output. This is more abstract than many of the processes studied in elementary algebra, where functions usually input a number and output another number. For example, if the doubling function is given the input three, then it outputs six, and if the squaring function is given the input three, then it outputs nine. The derivative, however, can take the squaring function as an input. This means that the derivative takes all the information of the squaring function—such as that two is sent to four, three is sent to nine, four is sent to sixteen, and so on—and uses this information to produce another function. The function produced by deriving the squaring function turns out to be the doubling function. In more explicit terms the "doubling function" may be denoted by g(x) = 2x and the "squaring function" by f(x) = x2. The "derivative" now takes the function f(x), defined by the expression "x2", as an input, that is all the information—such as that two is sent to four, three is sent to nine, four is sent to sixteen, and so on—and uses this information to output another function, the function g(x) = 2x, as will turn out. The most common symbol for a derivative is an apostrophe-like mark called prime. Thus, the derivative of a function called f is denoted by f′, pronounced "f prime". For instance, if f(x) = x2 is the squaring function, then f′(x) = 2x is its derivative (the doubling function g from above). This notation is known as Lagrange's notation. If the input of the function represents time, then the derivative represents change with respect to time. For example, if f is a function that takes a time as input and gives the position of a ball at that time as output, then the derivative of f is how the position is changing in time, that is, it is the velocity of the ball. Geometrically, the derivative is the slope of the tangent line to the graph of f at a. The tangent line is a limit of secant lines just as the derivative is a limit of difference quotients. For this reason, the derivative is sometimes called the slope of the function f.
Here is a particular example, the derivative of the squaring function at the input 3. Let f(x) = x2 be the squaring function. The derivative f′(x) of a curve at a point is the slope of the line tangent to that curve at that point. This slope is determined by considering the limiting value of the slopes of secant lines. Here the function involved (drawn in red) is f(x) = x3 − x. The tangent line (in green) which passes through the point (−3/2, −15/8) has a slope of 23/4. Note that the vertical and horizontal scales in this image are different. The slope of the tangent line to the squaring function at the point (3, 9) is 6, that is to say, it is going up six times as fast as it is going to the right. The limit process just described can be performed for any point in the domain of the squaring function. This defines the derivative function of the squaring function, or just the derivative of the squaring function for short. A computation similar to the one above shows that the derivative of the squaring function is the doubling function. Even when calculus is developed using limits rather than infinitesimals, it is common to manipulate symbols like dx and dy as if they were real numbers; although it is possible to avoid such manipulations, they are sometimes notationally convenient in expressing operations such as the total derivative. The definite integral inputs a function and outputs a number, which gives the algebraic sum of areas between the graph of the input and the x-axis. The technical definition of the definite integral involves the limit of a sum of areas of rectangles, called a Riemann sum. A motivating example is the distances traveled in a given time. If the speed is constant, only multiplication is needed, but if the speed changes, a more powerful method of finding the distance is necessary. One such method is to approximate the distance traveled by breaking up the time into many short intervals of time, then multiplying the time elapsed in each interval by one of the speeds in that interval, and then taking the sum (a Riemann sum) of the approximate distance traveled in each interval. The basic idea is that if only a short time elapses, then the speed will stay more or less the same. However, a Riemann sum only gives an approximation of the distance traveled. We must take the limit of all such Riemann sums to find the exact distance traveled. When velocity is constant, the total distance traveled over the given time interval can be computed by multiplying velocity and time. For example, travelling a steady 50 mph for 3 hours results in a total distance of 150 miles. In the diagram on the left, when constant velocity and time are graphed, these two values form a rectangle with height equal to the velocity and width equal to the time elapsed. Therefore, the product of velocity and time also calculates the rectangular area under the (constant) velocity curve. This connection between the area under a curve and distance traveled can be extended to any irregularly shaped region exhibiting a fluctuating velocity over a given time period. 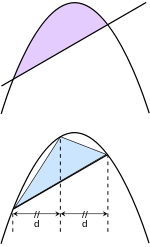 If f(x) in the diagram on the right represents speed as it varies over time, the distance traveled (between the times represented by a and b) is the area of the shaded region s.
To approximate that area, an intuitive method would be to divide up the distance between a and b into a number of equal segments, the length of each segment represented by the symbol Δx. For each small segment, we can choose one value of the function f(x). Call that value h. Then the area of the rectangle with base Δx and height h gives the distance (time Δx multiplied by speed h) traveled in that segment. Associated with each segment is the average value of the function above it, f(x) = h. The sum of all such rectangles gives an approximation of the area between the axis and the curve, which is an approximation of the total distance traveled. A smaller value for Δx will give more rectangles and in most cases a better approximation, but for an exact answer we need to take a limit as Δx approaches zero. is to be understood as an operator that takes a function as an input and gives a number, the area, as an output. The terminating differential, dx, is not a number, and is not being multiplied by f(x), although, serving as a reminder of the Δx limit definition, it can be treated as such in symbolic manipulations of the integral. Formally, the differential indicates the variable over which the function is integrated and serves as a closing bracket for the integration operator. The unspecified constant C present in the indefinite integral or antiderivative is known as the constant of integration. The fundamental theorem of calculus states that differentiation and integration are inverse operations. More precisely, it relates the values of antiderivatives to definite integrals. Because it is usually easier to compute an antiderivative than to apply the definition of a definite integral, the fundamental theorem of calculus provides a practical way of computing definite integrals. It can also be interpreted as a precise statement of the fact that differentiation is the inverse of integration. This realization, made by both Newton and Leibniz, who based their results on earlier work by Isaac Barrow, was key to the proliferation of analytic results after their work became known. The fundamental theorem provides an algebraic method of computing many definite integrals—without performing limit processes—by finding formulas for antiderivatives. It is also a prototype solution of a differential equation. Differential equations relate an unknown function to its derivatives, and are ubiquitous in the sciences. Physics makes particular use of calculus; all concepts in classical mechanics and electromagnetism are related through calculus. The mass of an object of known density, the moment of inertia of objects, as well as the total energy of an object within a conservative field can be found by the use of calculus. An example of the use of calculus in mechanics is Newton's second law of motion: historically stated it expressly uses the term "change of motion" which implies the derivative saying The change of momentum of a body is equal to the resultant force acting on the body and is in the same direction. Commonly expressed today as Force = Mass × acceleration, it implies differential calculus because acceleration is the time derivative of velocity or second time derivative of trajectory or spatial position. Starting from knowing how an object is accelerating, we use calculus to derive its path. Maxwell's theory of electromagnetism and Einstein's theory of general relativity are also expressed in the language of differential calculus. Chemistry also uses calculus in determining reaction rates and radioactive decay. In biology, population dynamics starts with reproduction and death rates to model population changes. Calculus can be used in conjunction with other mathematical disciplines. For example, it can be used with linear algebra to find the "best fit" linear approximation for a set of points in a domain. Or it can be used in probability theory to determine the probability of a continuous random variable from an assumed density function. In analytic geometry, the study of graphs of functions, calculus is used to find high points and low points (maxima and minima), slope, concavity and inflection points. Green's Theorem, which gives the relationship between a line integral around a simple closed curve C and a double integral over the plane region D bounded by C, is applied in an instrument known as a planimeter, which is used to calculate the area of a flat surface on a drawing. For example, it can be used to calculate the amount of area taken up by an irregularly shaped flower bed or swimming pool when designing the layout of a piece of property. Discrete Green's Theorem, which gives the relationship between a double integral of a function around a simple closed rectangular curve C and a linear combination of the antiderivative's values at corner points along the edge of the curve, allows fast calculation of sums of values in rectangular domains. For example, it can be used to efficiently calculate sums of rectangular domains in images, in order to rapidly extract features and detect object; another algorithm that could be used is the summed area table. In the realm of medicine, calculus can be used to find the optimal branching angle of a blood vessel so as to maximize flow. From the decay laws for a particular drug's elimination from the body, it is used to derive dosing laws. In nuclear medicine, it is used to build models of radiation transport in targeted tumor therapies. In economics, calculus allows for the determination of maximal profit by providing a way to easily calculate both marginal cost and marginal revenue. Calculus is also used to find approximate solutions to equations; in practice it is the standard way to solve differential equations and do root finding in most applications. Examples are methods such as Newton's method, fixed point iteration, and linear approximation. For instance, spacecraft use a variation of the Euler method to approximate curved courses within zero gravity environments. Over the years, many reformulations of calculus have been investigated for different purposes. Imprecise calculations with infinitesimals were widely replaced with the rigorous (ε, δ)-definition of limit starting in the 1870s. Meanwhile, calculations with infinitesimals persisted and often led to correct results. This led Abraham Robinson to investigate if it were possible to develop a number system with infinitesimal quantities over which the theorems of calculus were still valid. In 1960, building upon the work of Edwin Hewitt and Jerzy Łoś, he succeeded in developing non-standard analysis. The theory of non-standard analysis is rich enough to be applied in many branches of mathematics. As such, books and articles dedicated solely to the traditional theorems of calculus often go by the title non-standard calculus. This is another reformulation of the calculus in terms of infinitesimals. Based on the ideas of F. W. Lawvere and employing the methods of category theory, it views all functions as being continuous and incapable of being expressed in terms of discrete entities. One aspect of this formulation is that the law of excluded middle does not hold in this formulation. Constructive mathematics is a branch of mathematics that insists that proofs of the existence of a number, function, or other mathematical object should give a construction of the object. As such constructive mathematics also rejects the law of excluded middle. Reformulations of calculus in a constructive framework are generally part of the subject of constructive analysis. ^ "Calculus". OxfordDictionaries. Retrieved 15 September 2017. ^ "Differential Calculus - Definition of Differential calculus by Merriam-Webster". Retrieved 15 September 2017. ^ "Integral Calculus - Definition of Integral calculus by Merriam-Webster". Retrieved 15 September 2017. ^ Eves, Howard (1976). An Introduction to the History of Mathematics (4th ed.). New York: Holt, Rinehart and Winston. p. 305. ISBN 978-0-03-089539-5. ^ Fisher, Irving (1897). A brief introduction to the infinitesimal calculus. New York: The Macmillan Company. ^ Katz, Victor J. (2008). A history of mathematics (3rd ed.). Boston, MA: Addison-Wesley. p. 203. ISBN 978-0-321-38700-4. ^ a b Katz, V.J. 1995. "Ideas of Calculus in Islam and India." Mathematics Magazine (Mathematical Association of America), 68(3):163–174. ^ von Neumann, J., "The Mathematician", in Heywood, R.B., ed., The Works of the Mind, University of Chicago Press, 1947, pp. 180–196. Reprinted in Bródy, F., Vámos, T., eds., The Neumann Compendium, World Scientific Publishing Co. Pte. Ltd., 1995, ISBN 981-02-2201-7, pp. 618–626. ^ Allaire, Patricia R. (2007). Foreword. A Biography of Maria Gaetana Agnesi, an Eighteenth-century Woman Mathematician. By Cupillari, Antonella (illustrated ed.). Edwin Mellen Press. p. iii. ISBN 978-0-7734-5226-8. ^ Russell, Bertrand (1946). History of Western Philosophy. London: George Allen & Unwin Ltd. p. 857. The great mathematicians of the seventeenth century were optimistic and anxious for quick results; consequently they left the foundations of analytical geometry and the infinitesimal calculus insecure. 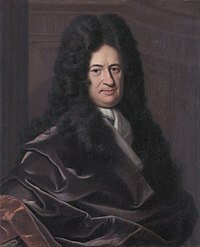 Leibniz believed in actual infinitesimals, but although this belief suited his metaphysics it had no sound basis in mathematics. Weierstrass, soon after the middle of the nineteenth century, showed how to establish the calculus without infinitesimals, and thus at last made it logically secure. Next came Georg Cantor, who developed the theory of continuity and infinite number. "Continuity" had been, until he defined it, a vague word, convenient for philosophers like Hegel, who wished to introduce metaphysical muddles into mathematics. Cantor gave a precise significance to the word, and showed that continuity, as he defined it, was the concept needed by mathematicians and physicists. By this means a great deal of mysticism, such as that of Bergson, was rendered antiquated. ^ Grabiner, Judith V. (1981). The Origins of Cauchy's Rigorous Calculus. Cambridge: MIT Press. ISBN 978-0-387-90527-3. Courant, Richard ISBN 978-3-540-65058-4 Introduction to calculus and analysis 1. Edmund Landau. ISBN 0-8218-2830-4 Differential and Integral Calculus, American Mathematical Society. Robert A. Adams. (1999). ISBN 978-0-201-39607-2 Calculus: A complete course. Albers, Donald J.; Richard D. Anderson and Don O. Loftsgaarden, ed. (1986) Undergraduate Programs in the Mathematics and Computer Sciences: The 1985–1986 Survey, Mathematical Association of America No. 7. John Lane Bell: A Primer of Infinitesimal Analysis, Cambridge University Press, 1998. ISBN 978-0-521-62401-5. Uses synthetic differential geometry and nilpotent infinitesimals. Florian Cajori, "The History of Notations of the Calculus." Annals of Mathematics, 2nd Ser., Vol. 25, No. 1 (Sep. 1923), pp. 1–46. Leonid P. Lebedev and Michael J. Cloud: "Approximating Perfection: a Mathematician's Journey into the World of Mechanics, Ch. 1: The Tools of Calculus", Princeton Univ. Press, 2004. Cliff Pickover. (2003). ISBN 978-0-471-26987-8 Calculus and Pizza: A Math Cookbook for the Hungry Mind. Michael Spivak. (September 1994). ISBN 978-0-914098-89-8 Calculus. Publish or Perish publishing. Tom M. Apostol. (1967). ISBN 978-0-471-00005-1 Calculus, Volume 1, One-Variable Calculus with an Introduction to Linear Algebra. Wiley. Tom M. Apostol. (1969). ISBN 978-0-471-00007-5 Calculus, Volume 2, Multi-Variable Calculus and Linear Algebra with Applications. Wiley. Silvanus P. Thompson and Martin Gardner. (1998). ISBN 978-0-312-18548-0 Calculus Made Easy. Mathematical Association of America. (1988). Calculus for a New Century; A Pump, Not a Filter, The Association, Stony Brook, NY. ED 300 252. Thomas/Finney. (1996). ISBN 978-0-201-53174-9 Calculus and Analytic geometry 9th, Addison Wesley. Weisstein, Eric W. "Second Fundamental Theorem of Calculus." From MathWorld—A Wolfram Web Resource. Salas, Saturnino L.; Hille, Einar; Etgen, Garret J. (2007). Calculus: One and Several Variables (10th ed.). Wiley. ISBN 978-0-471-69804-3. Boelkins, M. (2012). Active Calculus: a free, open text (PDF). Archived from the original on 30 May 2013. Retrieved 1 February 2013. Smith, William V. (2001). "The Calculus". Retrieved 4 July 2008  (HTML only). Weisstein, Eric W. "Calculus". MathWorld. Topics on Calculus at PlanetMath.org. Infinitesimal Calculus – an article on its historical development, in Encyclopedia of Mathematics, ed. Michiel Hazewinkel. Daniel Kleitman, MIT. "Calculus for Beginners and Artists".